Having subsequently slowed down a bit on the checklist ticking, I’ve taken a more leisurely approach to my sightseeing, enjoying the freedom of leaving the map and camera at home** and meandering aimlessly down to Place Masséna (the central city square), through the old town’s warren of narrow, colourful alleyways and out along the coast on a fairly regular basis. The 7km-long palm-fringed Promenade des Anglais is really rather impressive. I love the view from the curve around the coast towards the port (from where the main pic above was taken) – where you can see the full length of it stretching into the distance. It’s especially pretty at night with the streetlights blazing a trail all the way around the curve of the bay towards the airport which sits out on the next peninsula. I walk, cycle or run along it most days, and the spectrum of humanity in evidence always makes me smile: coachloads of snap-happy tourists; gaggles of boisterous (but well-behaved) teenagers; families engaged in genial discussion, tense negotiation or full-scale rows; lovestruck young couples strolling entwined and oblivious to everything outside their bubbles; dog owners walking, carrying and occasionally pushing (in prams – I kid you not) their generally minuscule and frequently terrified-looking charges; a constant stream of runners, cyclists and rollerbladers of all ages and abilities weaving in and out of the throng; and the quiet observers watching it all go by from their seats in the shade of the canopied terraces. All of life is here. 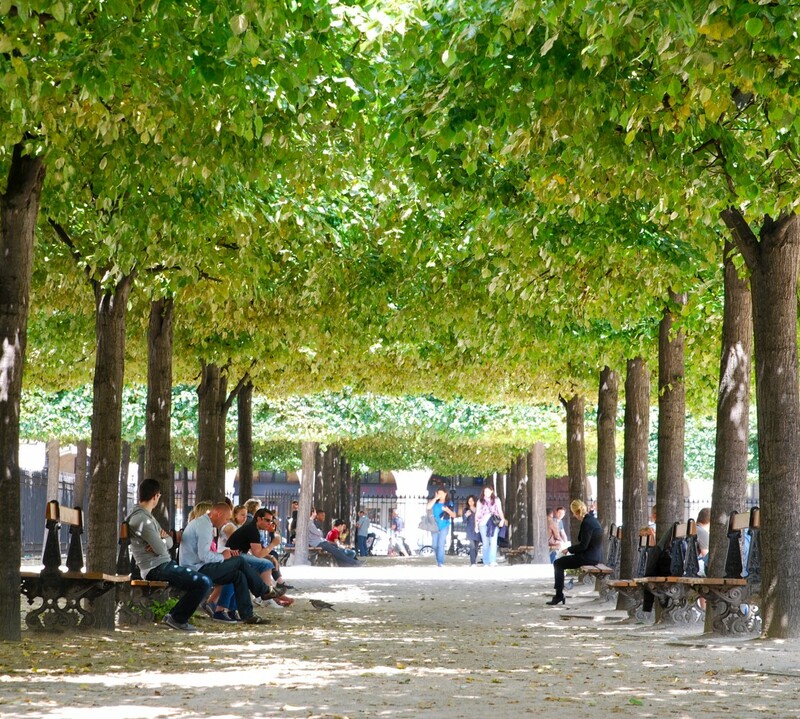 Green spaces are few and far between though – a shame considering one of my favourite things about France is the simple beauty of the shady tree-lined avenues found in the majority of its city parks. There are two main verdant areas: the Promenade du Paillon in the heart of the city – a 1.2 kilometre-long stretch of urban landscaping with manicured lawns (which you’re not supposed to sit on), play areas and a reflecting pool; and the Parc du Château at the end of the promenade between the old town and port – a rocky hillside topped by peaceful, shady lawns (which you are allowed to sit on), tree-covered pathways and a waterfall. Plus an incredible view across the city. No actual château though – it was destroyed in 1706 on Louis XIV’s orders, leaving only the low-walled archeological footprint of the 12th-century castle behind. I favour the latter for its more tranquil vibe, despite the extra effort to reach it. Many stairs + sweltering heat + lack of fitness = state of near-collapse at the summit… or you can take the lift, as I found out AFTER the first breathless ascent. A few weeks back we went to what one of our French friends described as a ‘Leftie’ festival on the hill. ‘La Fête du Château’ was a warm and fuzzy bohemian affair where, due to a rejection of bare-faced capitalism, prices were low (yay!) but, due to the chaotic nature of non-hierarchical structures – and the inevitable French disregard for the concept of queuing, waiting times were long (boo). In addition, the stall we chose for our Mojitos had the French equivalent of Rowan Atkinson’s shop assistant in Love Actually preparing them, when what we needed was the speed and dexterity of Tom Cruise’s bartending skills in Cocktail. I had to stop myself from leaping across the table and making them myself, it was so PAINFULLY slow to watch. The fact that we got to keep the plastic beakers bearing a print of Che Guevara’s visage and handy 5-25cl measures marked on the side was, quite frankly, small comfort at the time. Luckily for me, I’ve totally landed on my feet with my accommodation, finding a fab shared apartment with a friend-of-a-friend-of-a-sibling, who, having been here for almost a year, has a ready-made set of real, actual French friends for me to socialise with. Despite having inflicted some pretty poor Franglais on them so far, they seem to be persevering with me – for now at least. I even played a (very small) part in a local music ‘spectacle’ within a week of arriving, so embedding myself in the Niçoise community started off pretty well. Until I get a job though, I don’t feel like I’m properly ‘living’ here. The observant among you will have spotted that I haven’t changed my ‘lives in’ status on Facebook – concrete evidence if any was needed that I’m still in extended-holiday mode. I’ve only been looking for a couple of weeks, but the job search so far has borne no fruit. There are a few potentials with regard to teaching work – but all have said it’s pretty unlikely until September. And the local temping agencies so far have all told me the same thing: ‘You need to speak French’. The last one of them I approached did at least add ‘…better’ at the end of that sentence, which made me feel slightly less gloomy about my language progress, having conducted almost the entire conversation in French up to that point! * Ok fact-police, that’s actually a stat for the Côte d’Azur as a whole according to Wikipedia (that bastion of factual accuracy) – but I’m allowed a little artistic license, right..? ** This newly-relaxed attitude means my Nice album is not quite as extensive as I’d like … yet. But I hope the selection below gives a flavour of what’s become my new home-away-from-home.